Unparalleled service. dedicated to your health. 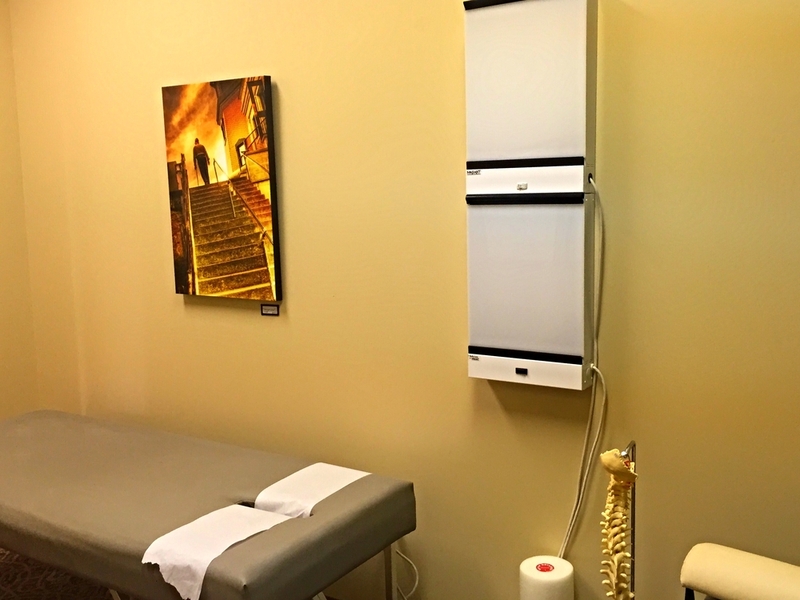 Located in White Bear Lake, Wilson Family Chiropractic is an active member of the community, dedicated to your well-being. Wilson Family Chiropractic opened in 2015, in the Wildwood Shopping Center, located just off of County Road E and Century Avenue and is providing quality chiropractic care and therapy to you and your family. Following graduation Northwestern Health Sciences, Dr. Wilson was hired on at a clinic to complete his final internship. To fulfill his dream of owning his own office, Dr. Wilson returned to the White Bear Lake-Oakdale area, where his entire family grew up; it was a natural decision to come back to his roots and serve the community he's called home for so long. Dr. Cliff is also very active in his church,Eagle Brook Church, which was a major factor in deciding where to open up shop. Chiropractors' main method of treatment is referred to as adjustments. These adjustment are usually done manually but can be done with adjusting tools. The goal of an adjustment is to remove or reduce subluxations, bones that are out of place that can lead to interference in the nervous system. Through correction of misalignment, or subluxations, we aim to increase range of motion and function, and decrease nerve interference and risk of degeneration. Often an adjustment will be accompanied by an audible release; the crack or popping noise is simply gas being released from the joint. The noise is completely normal and only means that the joint capsule was stretched enough to allow the gas to escape. Chiropractic adjustments are very safe and generally comfortable. Wilson Family Chiropractic practices diversified technique and mostly utilizes manual adjustments. When a condition calls for it we also use activator assisted adjustments. Since your bones are the foundation for your muscles, misalignment of the bones can create unusual stressors on the muscles. This can lead to adhesion and tension in those muscles, and as chiropractors we use a variety of muscle therapy techniques to help treat these muscular issues, in addition to the chiropractic adjustments. Wilson family chiropractic is committed to using any imaging necessary to help treat you effectively and insure you get the best care possible . We have in house X-ray which we routinely use to evaluate problematic areas. We also can order MRI or CT scans if necessary to find the root issue of a problem. Wilson family Chiropractic also works extremities: shoulders, knees, ankles, etc. This is done through different muscle work, mobilizations, and adjustments. We have treatment options for almost any joint in the body so do not hesitate to ask. As people progress through care they will be given different exercises designed to help them stabilize and strengthen their spine in the new correct positions. This is key because some of the movements and positions that created the issues in first place are unavoidable. It is through these exercises that we can help the body deal with those stressors. If nothing is done to change how we live it is likely these issues will reoccur over time. Rehab can be targeted at neck, mid back, low back, and extremities. Wilson Family Chiropractic is dedicated to helping improve the health of the community, So if you have a work place or organization that could benefit from a free health and motivation presentation please contact us today. We also provide work place wellness days that include free chair massages. We love to help support the community and have some great fundraising opportunities. Want to learn more? Call us at (651) 797-4238 or email at wilsonfamilychiropracticmn@gmail.com. Born and raised in Minnesota, Dr. Wilson earned his undergraduate in Biology from Augsburg College, graduating with honors in 2011. Following his love of helping others and his own amazing results from chiropractic, he enrolled at Northwestern Health Sciences University in the fall of 2011 and graduated with honors in 2014. He started his practice in 2015 in White Bear Lake. This is a place he has called home growing up and he is glad to be back and be able to give back to the community. Thank you for your message! Your business is important to us and we will respond to your inquiry as soon as possible. We are always accepting new patients and referrals. Check out our Facebook page @ Wilson Family Chiropractic!